Team Minkasu congratulates the Denver Broncos on a magnificent Super Bowl 50 Win! As Bronco Nation decimated competition, and Peyton Manning lifted Vince Lombardi, CBS’ price tag of $5 million for a 30-second commercial did not deter Corporates from going into an ad frenzy. Super Bowl advertising costs have nearly doubled from $2.5 million, a decade ago! Minkasu – the simple and secure mobile payments app startup – headquartered only five miles from Levi’s Stadium, the venue of the big game, also got in the spirit and launched a Super Bowl Sweepstakes. The top prize was a pair of tickets to Super Bowl 50, the biggest annual sporting event in United States. Happy to ramp up with limited resources, Minkasu made a dent of sorts. We saw downloads, transactions, and great participation, as a result of our marketing efforts. Thanks to our awesome campaign, I – a football novice – was able to surprise my husband with names like Cam Newton and Peyton Manning! In the meanwhile, the Minkasu headquarters was abuzz with Super Bowl activity, and the whole team came together over pizzas and drinks to sort and organize the entries. We got an independent person from outside who chose 3 random numbers to pick the winners. 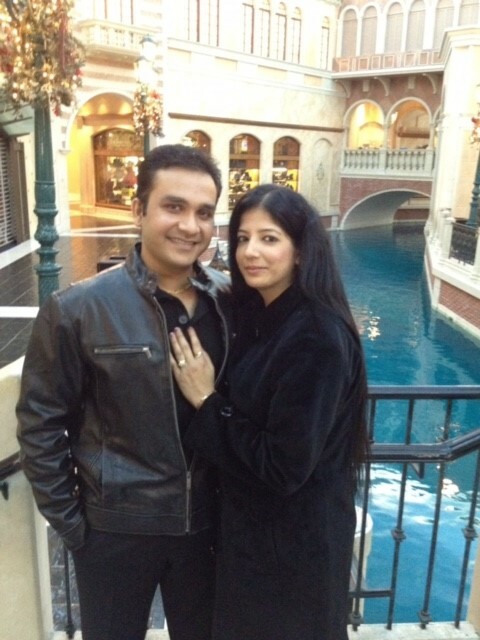 Mohit Mal and his lovely wife won the grand prize. At first, Mohit did not believe that he’d won but when it hit him, guess what he decided to do with his winnings… Sell the Super Bowl 50 tickets and give most of it back to charity. This kind couple from Vegas believe, “If everyone does a little for others, the world will be a much better place.” Isn’t that truly amazing? Wow! 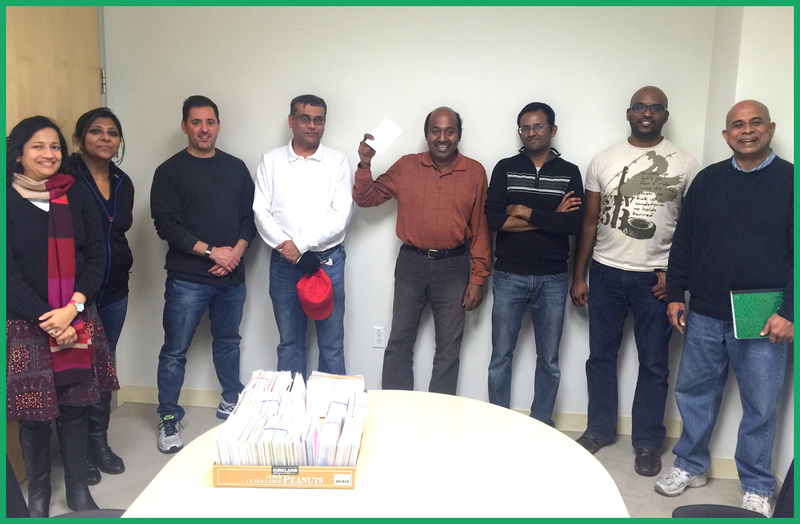 Srinivas Vadhri got the second prize: A $2,000 Amex Gift Card. Srinivas calls himself a “product guy,” and he’s been in the payments business for over a decade. Besides working with startups on ideas, this Silicon Valley veteran enjoys NFL, cricket and soccer. On hearing the news of his winning, he was both surprised and delighted! And surprise, surprise, he too plans to give back more “using the Minkasu mobile app.” How cool is that? Way to go, Srini! Payments executive, Srini, thinks, the Minkasu app is, “Pretty smooth and seamless. It is probably the easiest way to donate.” Now, that’s pretty huge validation, I would think. The industry is starting to take notice as well. So far in 2016, we’ve already been featured in TechCrunch, PYMNTS, and more… and it’s only February! The third prize, an iPad Pro, went to Ken Giordano, a Massachusetts consultant. Ken plans to use his iPad for work. “This was something I was already in the market to buy! It is a perfect addition to the tools I already have. It’s wonderful to win such a great prize,” he said. Perfect. Please like our Facebook Page for winner stories, cool contests, and more fun updates! With awareness created, and the stage set, Minkasu is now accepting new merchants and non-profits in its network. If you’re interested, please drop us a note at marketing@minkasu.com. The users can download the Minkasu App for free on App Store and Google Play. Don’t fumble with credit cards. Go mobile with Minkasu. Is Apple Pay headed the Minkasu way? Too Much Noise in the Mobile Payments Space – Who is Designed to Win the Mobile Payments War?